Celebrate the holiday season and invite your guest list to join the light-hearted fun of the tree-lighting ceremony when you send out individual Holiday Lights Invitations. Each Invitation features room for your own image on a background of colorful Christmas lights and includes twenty four lines of pretty pink and white text. 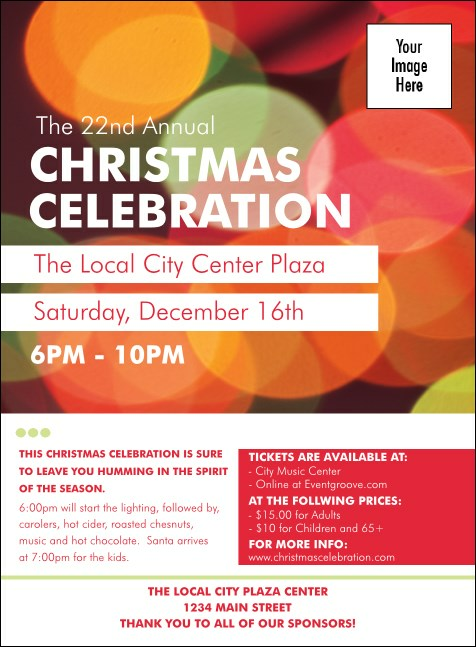 Shine a light on your holiday event with seasonal Invitations from TicketPrinting.com.